What is Phase II? Simply said: Phase II is the continuation of Bethany House’s original program (Phase I). The idea for a second phase to our time-tested program has been a future vision for some time now. However, the past two years have demonstrated how necessary this extended portion to our program has become. 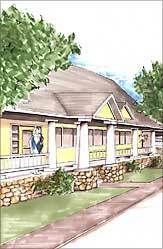 Currently, a woman resides at Bethany House for approximately three months following the birth of her child. Unfortunately, the personal issues for a majority of our residents have increased in recent years. Now, with the methamphetamine epidemic at an all-time high, violence increasing against women and children, lack of education, and few job skills, our residents are struggling to move forward as easily as in years past. Sadly, for many young women, their initial time at Bethany House is focused on learning to live drug free and how to stay away from destructive relationships. It is difficult to focus on furthering one’s education and developing lasting job skills when you’re just learning the most basic living skills such as eating healthy foods, getting proper rest, attending all your prenatal medical appointments, and learning how to be a part of a healthy family when all you’ve known is abuse, addiction, and dysfunction. Although we continue to have a successful aftercare program, we believe that an additional time of extended care would be an invaluable resource for a majority of our residents. This extra time, up to an additional two years, in our second phase, will allow women to become more grounded in their faith, recovery, and as a new parent. This longer time frame will also allow for vocational training programs, more college courses, and/or managing employment, childcare, finances, and life in general while surrounded by ongoing love, support, training, and accountability that living in Bethany House’s second phase will provide. Residents will be required to complete an approved plan of action before their acceptance into the second phase is finalized. Although Bethany House staff will be on site twenty-four hours a day, she will have her own apartment, which allows for additional independence and personal bonding with her child. 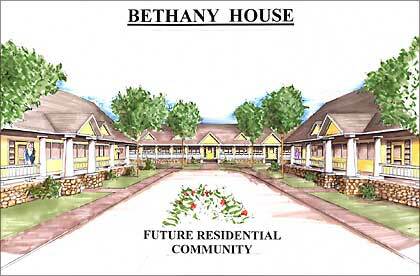 Bethany House’s Phase II will be a community environment that still promotes family- style living. We believe this extended program will be the just-right stepping stone ensuring the best steps to success for these women and children. To donate to the Second Phase click here.